Happy Valley East is committed to providing a school environment that promotes and protects children’s health, well-being, and ability to learn by supporting healthy eating and physical activity. Happy Valley East will provide nutrition information and physical education opportunities that foster lifelong habits of healthy eating and physical fitness. A healthy diet should consistent of the five main recommendations from the Food Guide Pyramid. Participation of the entire school community is essential to the development and implementation of successful school wellness policies. Happy Valley East participates in the Presidential Fitness Challenge to promote healthy eating and an active lifestyle. 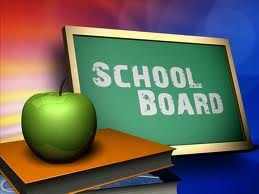 The School Wellness Board will meet at least annually to evaluate the effectiveness of policy and make any revision deemed necessary. The school wellness team will invite faculty, staff, parents and students to provide input which they feel would be instrumental in improving the overall wellness program. All input provided will be taken into consideration and evaluated by the school wellness team. 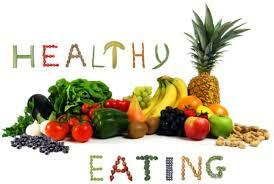 Nutrition and healthy living skills shall be taught as part of the regular instructional program. Opportunities will be provided for all students to understand and practice the concepts and skills related to good nutrition, health promotion and disease prevention. Promote fruits, vegetables, whole grain products, low fat dairy products, healthy food preparation methods, and health enhancing nutrition practices. Avoid low-nutrition foods and beverages, such as soda, sports drinks, imitation fruit juices, chips, candy, cookies, and snack cakes. Food and beverages served at school shall meet the nutrition standard set forth by Arizona Department of Education. School will encourage parents to bring nutritional snacks to recognize student’s birthday. 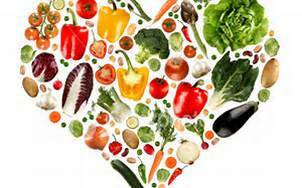 School will provide parents/guardians with information regarding healthy food/beverages. Students in Kindergarten through 6th grade shall participate in daily physical activity that enables them to achieve and maintain a high level of personal fitness. The School provides a daily supervised recess period. The School will ensure that all the recreational amenities are safe, clean and accessible to all students. Faculty, staff, school administrators, food service professionals, parents and students will be encouraged to serve as a roles model by practicing healthy physical activity habits. The presidential youth fitness program focuses on healthy eating and an active lifestyle. Students will participate in exercises that will assess their aerobic capacity, muscle strength, endurance and flexibility. The students will be tested and receive a presidential achievement award. Gymnastics class. This class is offered after school from 3:15-4:15. This is an 8 week class. 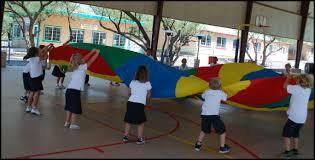 Students will learn the essential gymnastic skills as well as fundamental coordination and teamwork. They will be using tumbling mats, spring board, balance beam, bars, vaulting horse and mini trampoline. Basketball club. This class is offered after school from 3:15-4:15. This is a 9 week class. Students will learn the basic fundamentals of basketball. After learning the basics students will scrimmage against one another. Cheer. This class is offered after school from 3:15-4:15. This is a 9 week class. Students will learn basic cheer motions, jumps, cheers and dances. Art club. This class is offered after school from 3:15-4:15. This is a 9 week class. Students will learn about famous artist, painting, fish printing, weaving and more. Little Chefs. This class is offered after school from 3:15-4:15. This is a 9 week class. Students will learn simple recipes and making delicious snacks. Students will have adequate time to eat lunch, play, and socialize. Happy Valley East does not have a vending machine on site available to staff or students. Food safety will be a key part of School Nutrition operation. Cafeteria will be clean, safe and attractive.